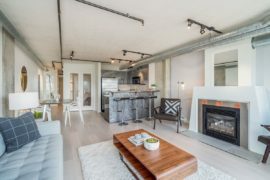 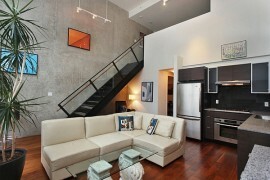 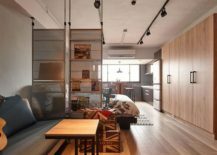 When it comes to small apartments with modern-industrial flair, things do not get any better than this. 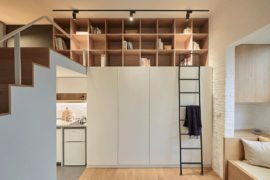 The Wu House in the Mountains is a gorgeous example of making the most of available space while giving a tiny apartment a distinct identity and unique flavor. 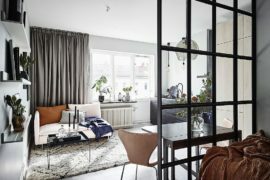 Designed by Alfonso Ideas and nestled in the bustling Linsen North Road neighborhood, the fabulous apartment is both inviting and striking, thanks to the wonderful blend of varying textures, exclusive décor and of course, the space-saving, modern features that catch your eye almost instantly. 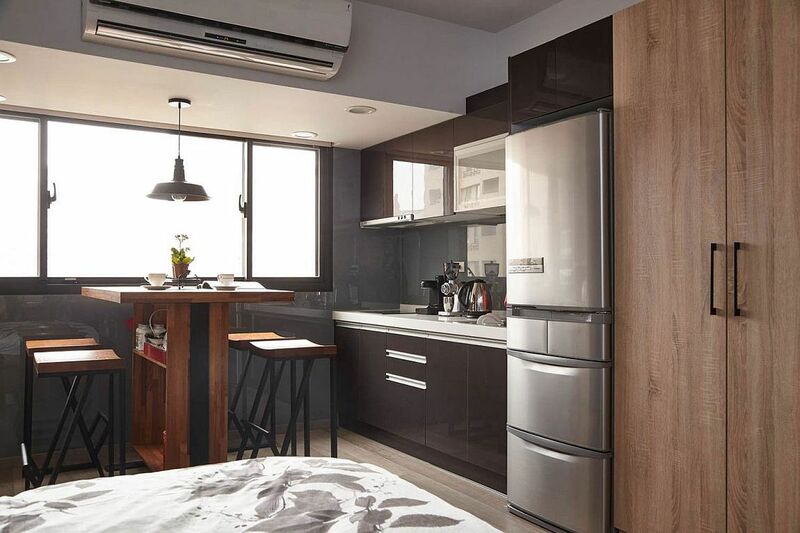 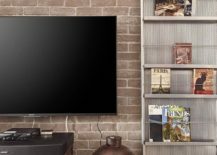 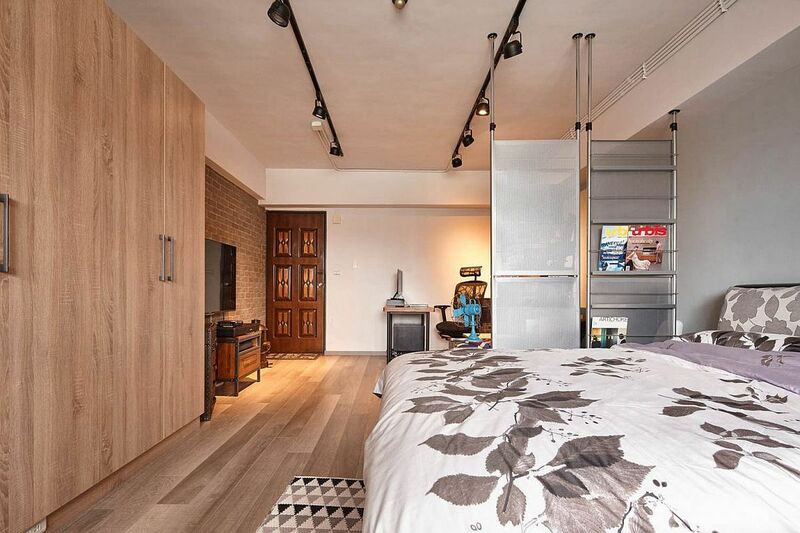 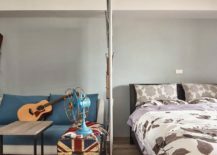 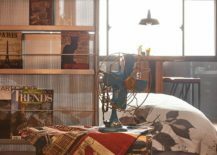 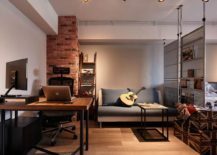 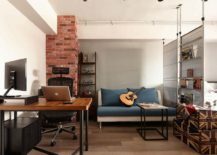 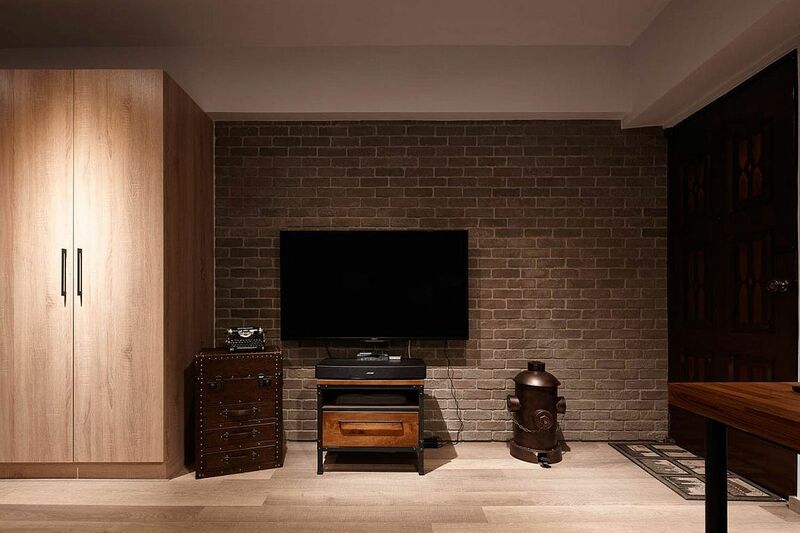 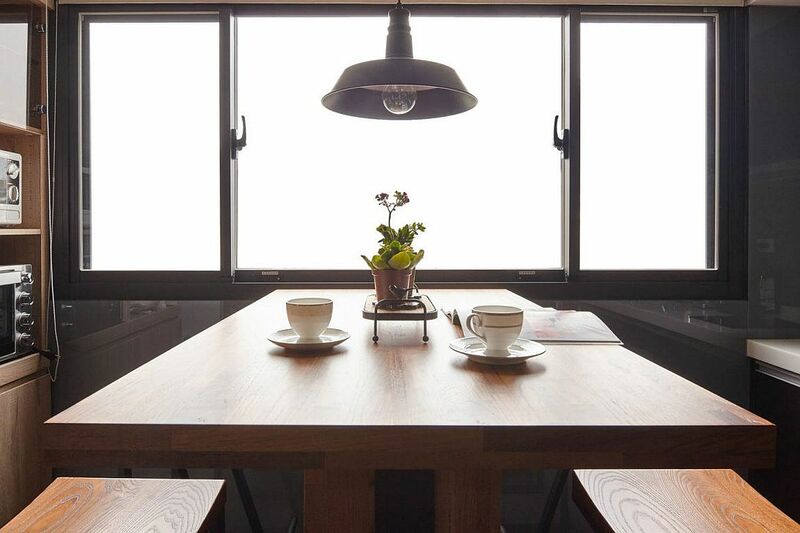 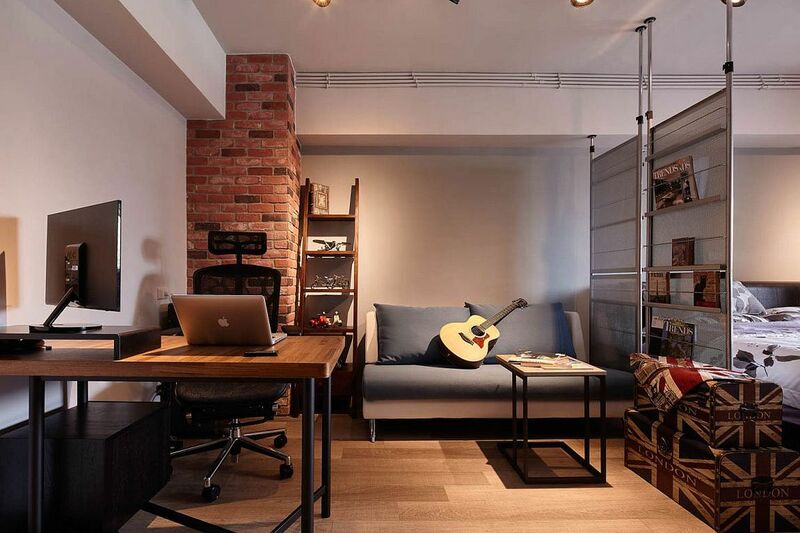 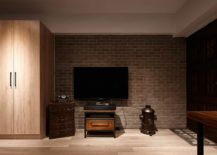 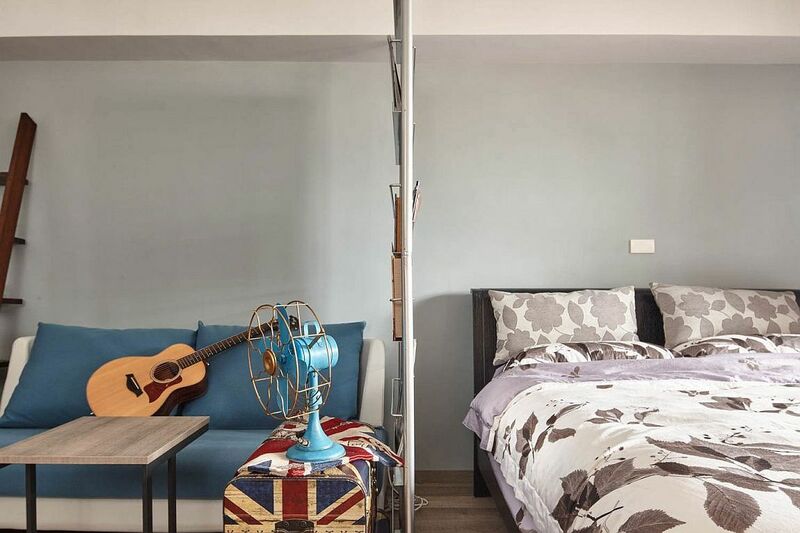 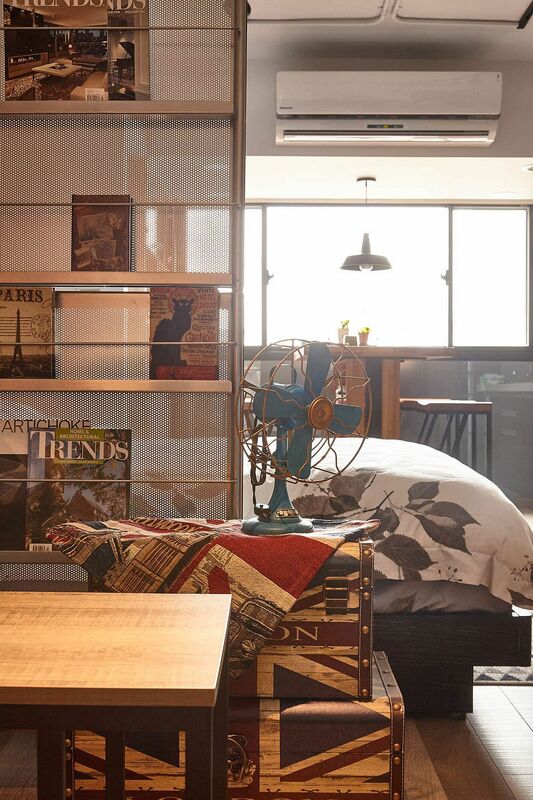 Linsen North Road is quickly gaining popularity as the hottest neighborhood in all of Taipei City when it comes to real estate, and being a part of this bustling locality does make this small, industrial loft-style apartment even more special. 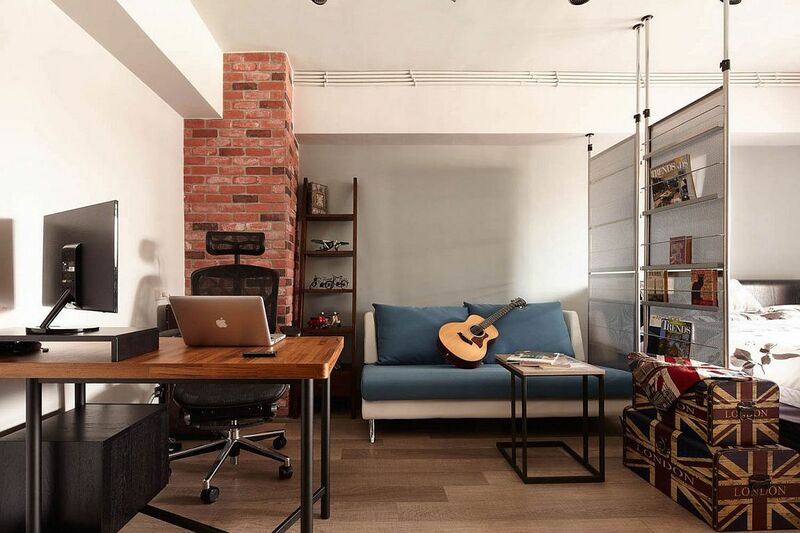 The living area is separated from the bedroom using a glass and metal partition that also serves as a bookrack, while a brick wall section, small couch in light blue and a workstation fill up the visual. 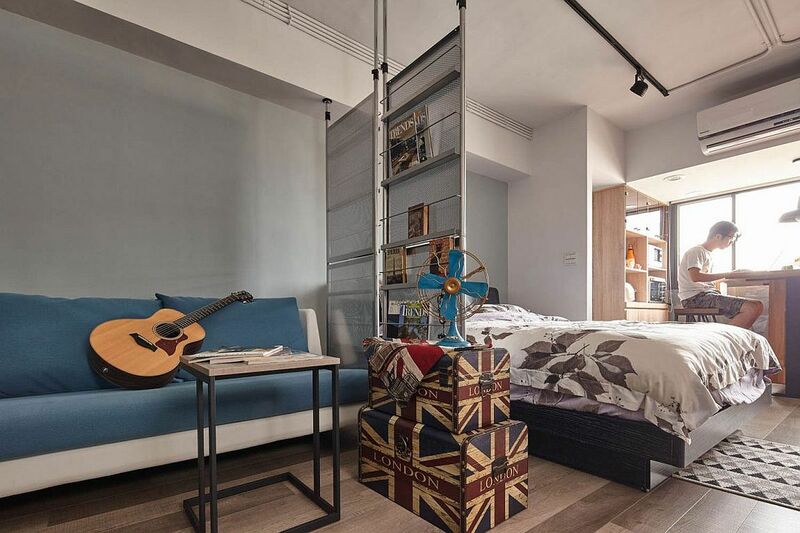 A couple of vintage trunks with a Union Jack motif and a small coffee table add to the limited storage and display options, while the television and bookshelf next to it complete this space. 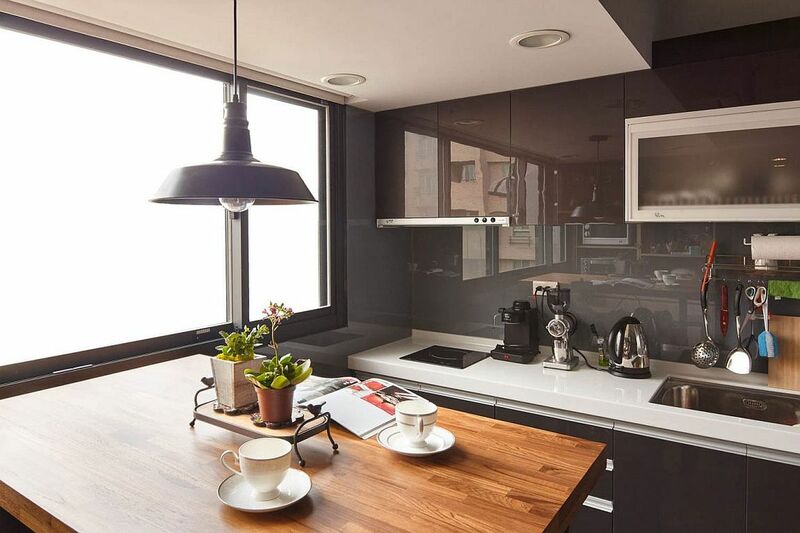 The kitchen in the corner offers the bare minimum, and the dining zone next to it benefits from the presence of a large window and pendant lighting. 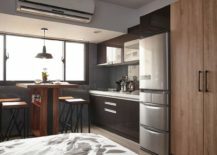 It is in between the corner kitchen and living area that the small bedroom is tucked in, and once again it only brings along with it the absolute essentials. 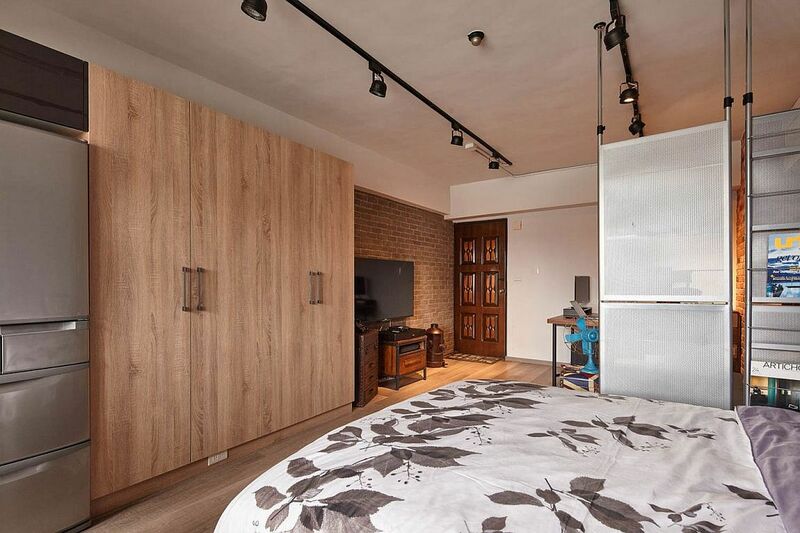 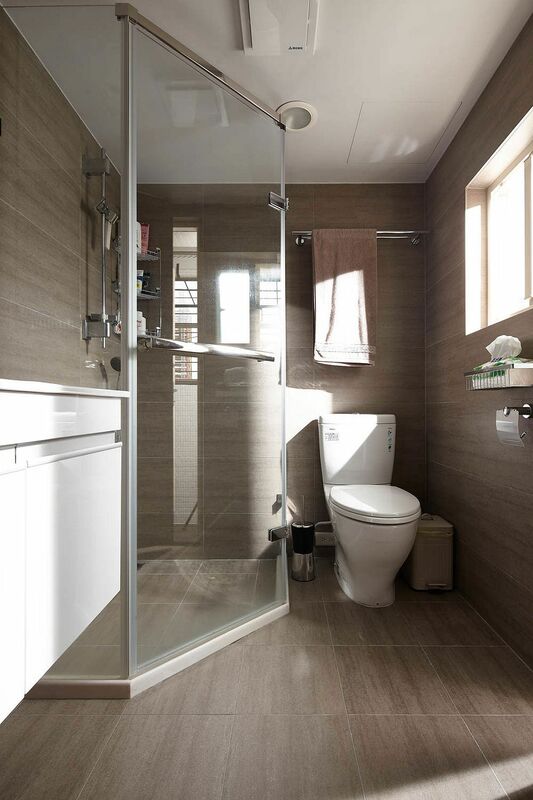 A giant wooden wardrobe opposite the bed and a small bathroom cap off an inventive and inspirational tiny apartment! 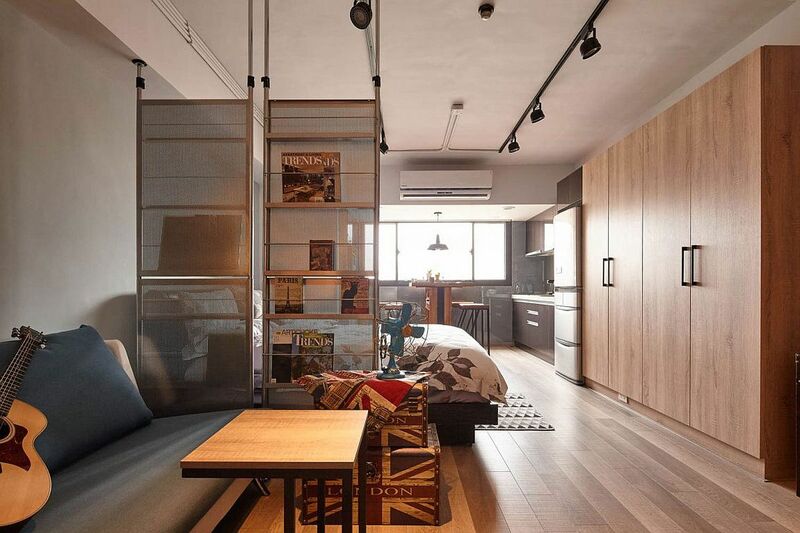 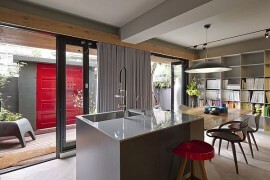 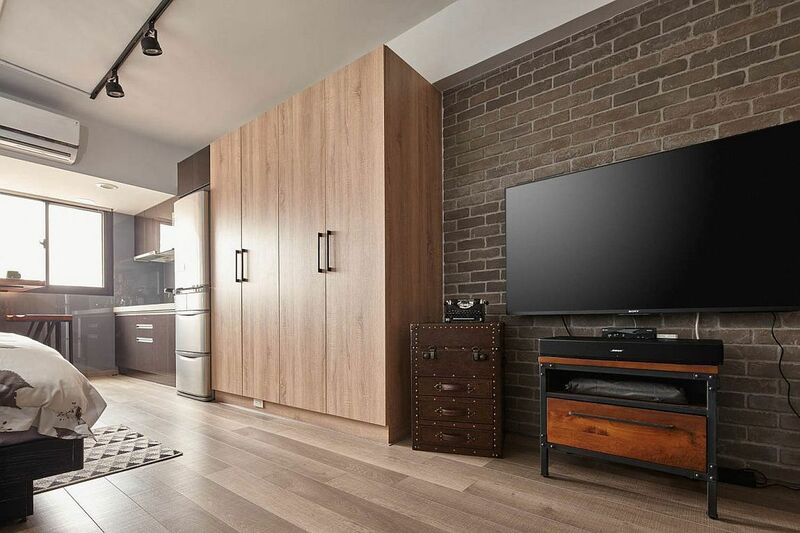 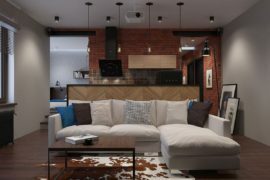 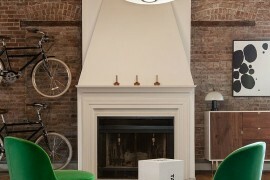 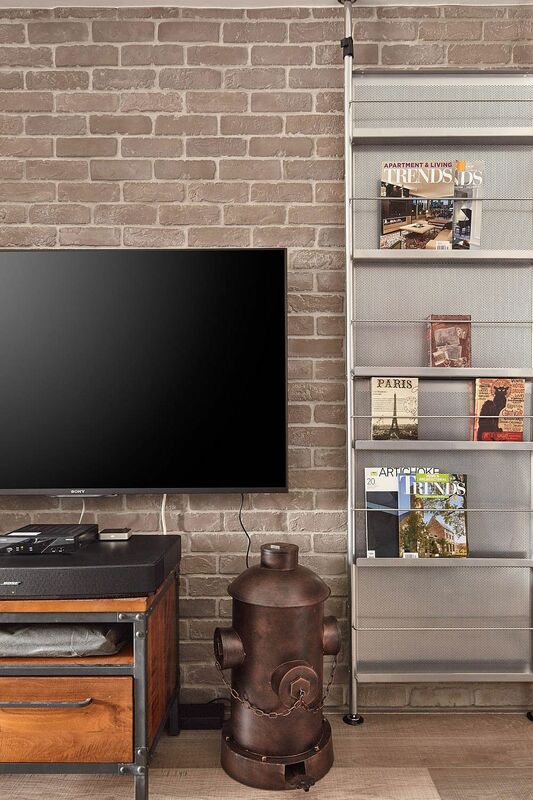 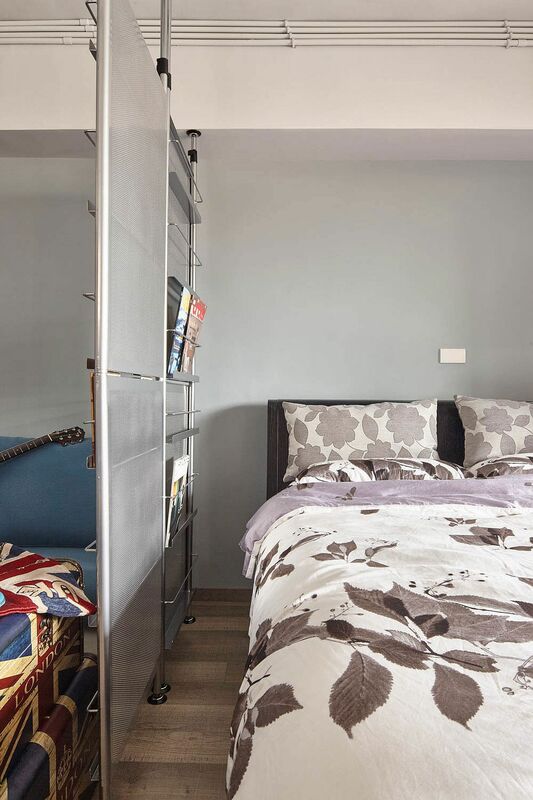 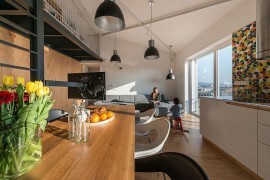 Innovative, Industrial and Space-Savvy: Tiny Bachelor Pad Does It All!